New plans to protect elephants, rhinos and other species will be discussed at a critical meeting that begins in Bangkok on Sunday. Delegates will review the convention on the international trade in endangered species (CITES). Around 35,000 animals and plants are at present protected by the treaty. But with a global "extinction crisis" facing many species, this year's meeting is being described as the most critical in its history. The CITES agreement was signed in Washington in March 1973 in an attempt to regulate the burgeoning trade in wild flora and fauna. It entered into force in 1975 and experts say that legitimate global imports of wildlife products are now worth more than $300bn (£200bn) a year. The convention works by licensing commercial trade in species. The process is meant to be governed by the scientific evidence of threat against an animal or a plant. However, as CITES consists of government delegations, its decision-making is rooted in the political and economic interests of member countries. In Bangkok, delegates from some 178 countries will face some critical decisions. The first one they will have to grapple with is the issue of secret ballots. Many critics argue that CITES delegations sometimes hide behind the secret ballot process when they want to avoid being seen putting commercial interests ahead of conservation. Many campaigners are hoping that the meeting will vote to restrict the use of secret voting in order to set a more open tone for the meeting. "CITES ought to be a transparent body - but secret ballots have become easier to implement at the behest of certain parties who don't want their vote to be known," Mark Jones from Humane Society International told BBC News. "We are supportive of increased transparency so that parties can be held to account," he added. Appendix I covers animals and plants in which all international commercial trade is prohibited except in rare circumstances. In this category are 530 animal species including tigers, white rhinos and gorillas. Appendix II is much bigger. Trade is allowed in these animals and plants but strictly controlled by permit. Over 4,460 animals and 28,000 plants are in this grouping, including polar bears and some shark species. Appendix III includes species that are protected within the borders of a member country. There are 290 species in this group, including the two-toed sloth. Delegates will have to deal with 70 proposals for amending the rules relating to specific species. Elephants will feature heavily as the global demand for ivory is driving poaching to unprecedented levels. But many campaigners see Thailand as being one of the biggest contributors to the trade, as it is legal there to sell ivory taken from native elephants. Criminals are believed to use this loophole to sell stocks of ivory from African elephants as well. The Thai government is now under pressure to take action. "After years of failing to end this unfettered trade, Thailand should grab the spotlight and shut down these markets that are fuelling the poaching of elephants in Africa," said Carlos Drews of environmental group WWF. Campaign groups are seeking to have sanctions imposed on Thailand, Democratic Republic of Congo and Nigeria to try and stem the flow of ivory. Another issue that is dividing both country delegations and welfare campaigners is the status of polar bears, a situation the BBC reported on last December. The US is proposing that all trade in bear parts be banned - a move which is stridently opposed by Canada and Russia. Around 400 bears a year are killed for this purpose. Dan Ashe is the director of the US Fish and Wildlife Service and head of the American delegation at CITES. "While we recognise that the bear-parts trade is not the factor that is driving the polar bears to extinction... we believe that the commercial trade in bear parts should cease." On rhinos, Kenya is proposing that there should be a moratorium on the export of trophy horns from South Africa and Swaziland, which are currently exempt. Again there are divisions on the best approach. Some environmentalists believe the trophy hunting has helped the rhino population to recover by bringing in revenue from tourism. 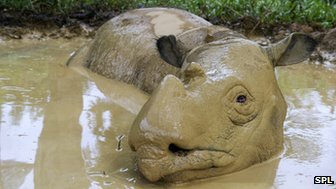 Other researchers are calling for the legalisation of the rhino horn trade as they blame the current ban for increasing the rewards from poaching. Last year 668 rhinos were killed by poachers in South Africa, and more than 100 have died so far this year. Several species of shark are also likely to get additional protection this time round according to campaigners, as new reports indicated that over 100 million a year are being killed in commercial fisheries. 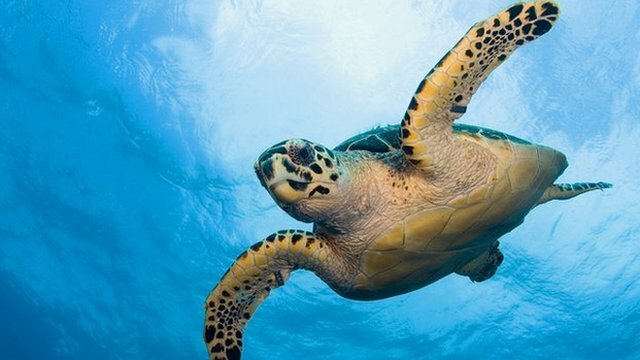 One of the most interesting aspects of this meeting is the emerging political alliance between the world's two biggest economies - the US and China are co-sponsoring proposals to restrict trade in Asian turtles and tortoises. According to Dan Ashe, that is a significant move. "It is the first time we have ever made a joint proposal with China - that bodes well for a future partnership emerging between US and China." And as well as trying to save different species, the US will be pushing forward with proposals for passports for musical instruments. Many are made from rare types of wood that require a permit to go from country to country. It is one proposal that likely to have widespread support. The meeting runs until 14 March. Has CITES had its day?